S’mores aren’t just for camping trips. 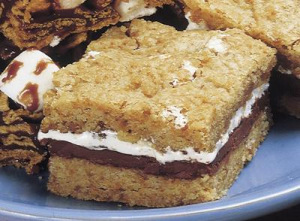 Bring the gooey goodness of s’mores to your kitchen with these fabulous recipes for bar cookies. Made with the same ingredients as traditional s’mores – graham crackers, Hershey’s chocolate and marshmallows – your whole family will love these sweet treats. 3. Sprinkle mini chocolate bars over baked layer or arrange unwrapped chocolate bars over baked layer, breaking as needed to fit. Sprinkle with marshmallows; scatter bits of remaining dough over marshmallows, forming top layer. Bake 10 to 15 minutes or just until lightly browned. Cool completely in pan on wire rack. Cut into bars. 16 bars. Recipes courtesy of Hershey’s. 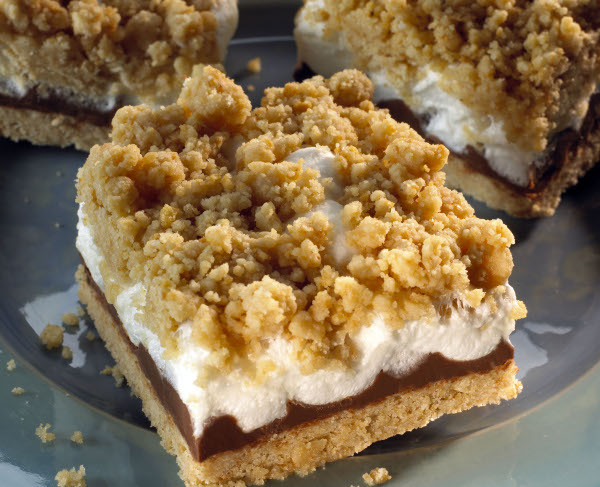 Visit smoresfun.com for more recipes and cooking suggestions from the experts at The Hershey’s Kitchens.